HAITI: Make friends with the kind of people you want to be like BUT, who wants to be a mentor in this country? When I was younger, I was given this advice: Make friends with the kind of people you want to be like. It is good advice but, in Haiti, it doesn't seem to work if your intention is to find a great mentor to help you in your path to success. Who wants to be a mentor in Haiti? If you want to go up in society's ladder, it would only make sense for you to make friends with people who are already where you want to be; however, the people in Haiti who are where you want to be , there not looking for someone to coach. I am sorry but Haitians do not have the "If I can make in in Haiti you can too" mentality. Haitians have this selfish uncooperative mentality. Those who make it to the top are either too selfish to help others reach the top level they're at or they just don't know how to help anyone but themselves. Think about it for a moment... When was the last time you read a book about a Haitian success story? Such books don't exist. How many rich people in Haiti write their auto biography or tell their rags to riches story? As far as I know... NONE! 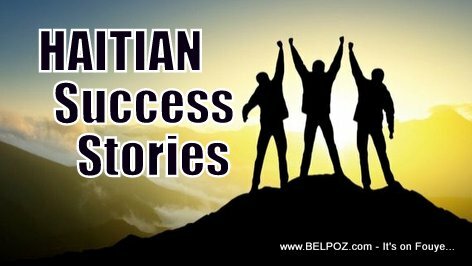 If you have a Haitian story that is different that what I've just said, please share it with us. How is the society supposed to grow when the people who reach the top do not leave any clues behind for others to follow? My desire is to be silent on belplitik.com, and all the other Haitian's platfom politik when Haiti is not in danger. I will pull out my finger's nails when massimadi governments atack Ayiti; Slowly ! Slowly! We almost finish with problem of manifestation in Haiti: ( fò Jovenel Moise alé); who will replace him? I am not Haitian, however, my biggest goal is to mentor the film industry in Haiti. Why is Haiti different than the USA or the EU or Canada? Are people so much different? Find what people need and are willing to pay for and provide it. Quand j'étais plus jeune, on m'a donné ce conseil: se faire des amis avec le genre de personnes que vous voulez être. C'est un bon conseil mais, en Haïti, cela ne semble pas fonctionner si votre intention est de trouver un bon mentor pour vous aider dans votre chemin vers le succès. Qui veut être un mentor en Haïti? Si vous voulez monter dans l'échelle de la société, il serait logique que vous fassiez des amis avec des gens qui sont déjà là où vous voulez être; Cependant, les gens en Haïti qui sont là où vous voulez être, ne cherchent pas quelqu'un pour entraîner.